This week we will be focusing in learning about different kinds of time frames. Beginning with the obvious and I believe the one that people show most interest in. Finding out if we are in the last days (Knowing the time tape #1). Think about it, how can the apostle Paul state with such confidence in the scriptures (Romans 13:11) that he knew “the time”? Also that he knew that “our salvation [is] nearer than when we believed”. Was he like one of those crazy self proclaimed prophets with their weird math trying to find out when Christ was going to return? Absolutely NOT! The reason he could say such things without worrying about being wrong is because in the scriptures the Heavenly Father gave an outline of what kingdoms (beasts) were going to rule before the Kingdom of Heaven. It is one of the greatest prophecies written in the scriptures proving God to be true. As the most High said, Isaiah 44:7 “And who, as I, shall call, and shall declare it, and set it in order for me, since I appointed the ancient people? and the things that are coming, and shall come, let them shew unto them.” Verse 8: “Fear ye not, neither be afraid: have not I told thee from that time, and have declared it? ye are even my witnesses. Is there a God beside me? yea, there is no God; I know not any.” This is the reason that we could be confident without fear that this is the truth. Before they existed the most High predicted which nations were going to rule as an empire and when they were going to fall. Some he mentioned by name like the Babylonians, Persians, Greeks, and Romans. Those that had no name yet he described unto us and showed us where they sprang out of. 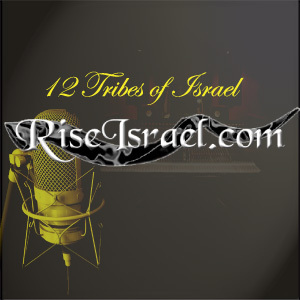 Listen to this podcast and see where the most High mentioned America in Bible prophecy. Shalam! FYI: Radio updated this morning with new content.